The catalogs do not contain information about specific classes. The Schedule of Classes is published each term with class information. There is no charge for the Schedule of Classes. A limited number of printed catalogs are provided to Solano County high schools and libraries for reference purposes. 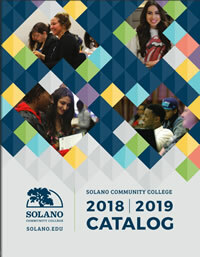 Printed catalogs are provided to SCC students who participate in counseling orientation workshops or who enroll in counseling/guidance classes.